January 18, 2016—-In 2015, a major conference on climate change was held in Paris. At the Paris climate conference most of the representatives of the nearly 200 countries attending agreed to reduce greenhouse gas emissions. 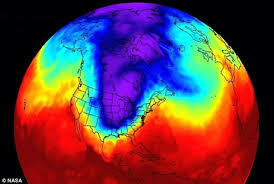 At present, global temperatures are set to rise 3°C (5 1/2°F). An agreement was reached to make sure global temperatures did not rise more than 2°Celsius (3.6°F) above temperatures prior to the industrial revolution. It is believed by many scientists that any rise above this level would lead to a self generated further rise in temperature. In turn this would lead to devastating changes in natural events. Much more rapid melting of the global ice and a corresponding rise in sea level would occur and extreme weather events would be more common. At the Paris conference each country was allowed to present a plan for reducing emissions. None of the plans were enforceable. This was the only way to get most of the countries to submit plans. It recently became clear that not enough was being done to reduce global warming. Another conference was scheduled, representatives from most of the countries that participated in the Paris conference met earlier in December 2018 in Katowice, Poland. The purpose was to further the outcome of the Paris Conference. This conference is known as the COP24 conference. The goal of this meeting was to establish a set of rules to reduce greenhouse gas emissions more sharply by the countries that attended the conference. The rules take into account the possibilities and conditions in each individual country. At the present many, if not most countries, have no way of tracking their emissions. What is needed, of course, is some method of documenting emission levels. However, there have been many objections expressed to documenting emissions. Some of these objections are simply based on available technology. Others are based on a fear of providing national technological data to the rest of the world. There are also many objections from the less developed countries which emit a combined 60% of the emissions, but do not have the technology nor economic resources to monitor them. There was considerable effort by the less developed countries to have the more wealthy countries help finance the data gathering and emission reductions in the poorer countries. Poland is a country with extensive coal deposits which are used to produce electrical power. 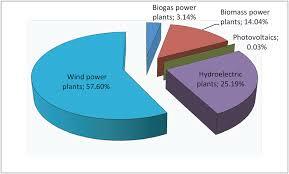 However, the Polish Government has begun a number of projects aimed at reducing greenhouse gas emissions. They launched a clean air program in the summer of 2018. They have been increasing the area of forested land. Forests cover about a third of the country and the area has been increasing. Selected tree species can increase the absorption of CO2. The United States was a leader in organizing the Paris conference of 2015. However, Mr. Trump has repudiated the Paris Agreement. He has also refused to pay two billion dollars in aid pledged during the Obama administration to support global efforts to reduce climate change. The government of the United States did not send representatives to the Katowice conference. World cooperation on many items has decreased substantially in the last three years. A big part of the reason is the nationalism (America First) espoused by Mr. Trump. The United States can do better at being a leader in the fight against rising temperatures on our planet! 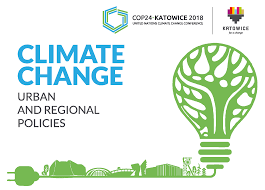 Categories: Climate Change, Renewable Resources, Solar, Sustainable Education | Tags: #climatechange, #renewableenergy, Climate change, Co24 conference, Renewable Resouces, Sustainable energy | Permalink.